About Mile High Test Services, Inc.
Mile High Test Services, Inc. provides Electrical Test Services to the Bareboard Printed Circuit Industry. We have a combined 50 years of experience in providing test-related solutions. 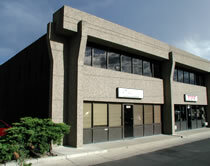 Mile High Test Services, Inc. was started in 1999. Incorporated in August 1999, Mile High Test Services has experienced a steady 20% growth rate per year except for 2001, a very difficult year for the industry. The company was created to provide top quality test products and services to an industry that demands customer driven response. Over the years the company has added Functional Test Fixtures and Reverse Engineering of Printed Circuit Boards (or in other words: Scanning Services to create gerber files). Mile High Test Services has been able to succeed with a highly experienced and qualified employee base. You will remember some of us from Probe Test Fixtures, Inc. which was sold in 1999 and no longer exists. Through a customer driven approach, Mile High Test Services provides bare board test fixtures, test services, scanning services (to create gerber files), and functional test fixtures to all ends of the circuit board industry. Our highly experienced and committed employees enable us to" raise the bar" in customer satisfaction across the board from pricing through quality to on time delivery.